1In Word, give the Open command. For example, you can use the Ctrl+O keyboard shortcut. However you do it, the Open dialog box appears. 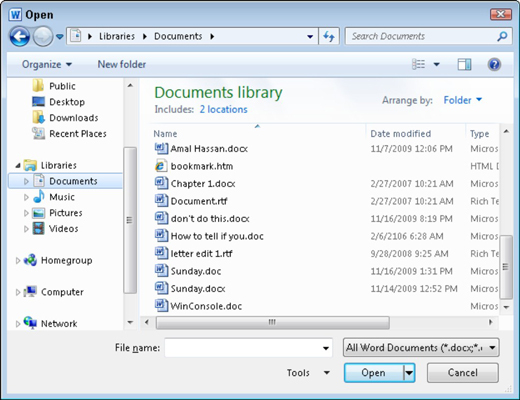 2In the Open dialog box, locate an older Word document. 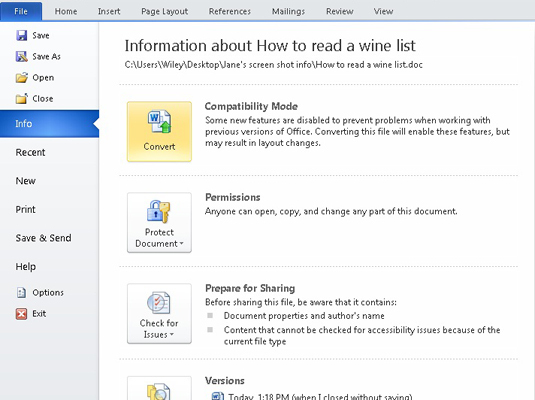 All Word documents, old and new, appear in the Open dialog box. 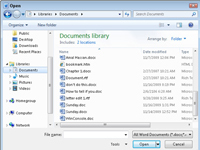 3Select the older word document and click the Open button. 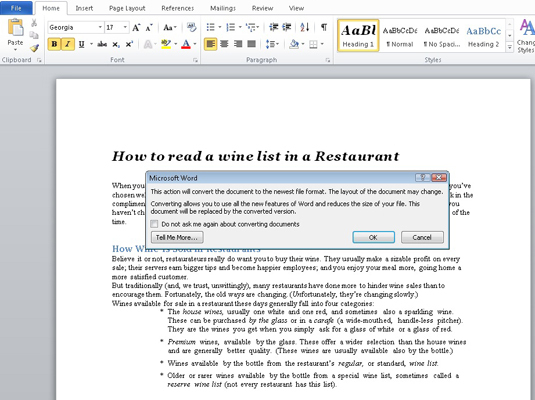 The Word document opens and is displayed onscreen. 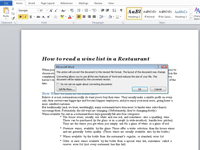 You see the text [Compatibility Mode] displayed on the title bar, indicating that you’re working with a document saved by using the older Word document format. 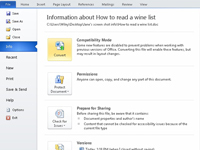 Ensure that the Info command is chosen from the File tab’s menu. A warning dialog box appears. The document is updated — but you’re not done yet. You have several ways to save the document. For example, you can use the keyboard shortcut Ctrl+S.